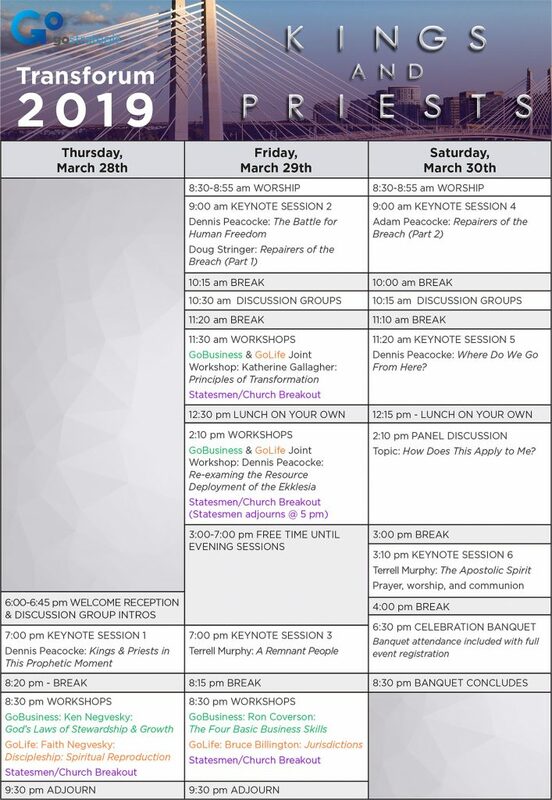 General event begins Thursday, March 28th with the first session at 7pm, with a welcome reception prior for full event attendees from 6-6.45pm. The event concludes Saturday, March 30th with celebratory banquet which includes a 3 course meal, fellowship, entertainment and honoring of our graduates (allowing Sunday March 31st for a travel day). Scroll down to view full schedule; locals may audit the evening sessions (Thursday and Friday) by donation. 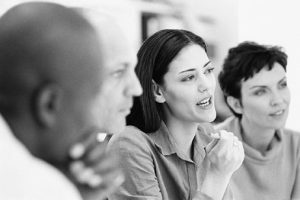 GoStrategic conferences are designed to provide opportunities for inspiration, application, and connection. Keynote sessions will inspire and challenge you to think differently about the state of our culture, and how we can reshape our world to reflect the kingdom of God. The diverse group of speakers we have brought together includes leaders with backgrounds in business, ministry, academia, and the non-profit sector. Workshops are designed to equip you with tools for applying principles of cultural change. Topics will cover kingdom business, evangelism, strategic thinking, worldview, and problem solving. You will also be placed within a small group, facilitated by GoStrategic alumni. Groups will meet several times during the conference, to give you an opportunity to respond, and discuss together how to apply what was shared to your life and work. Because so much of what happens in the kingdom happens through the connection of like-minded individuals, in addition to the small group times, the Transforum will also kickoff with a Welcome Reception on Thursday night where you can introduce yourself to fellow attendees and connect with your small group.